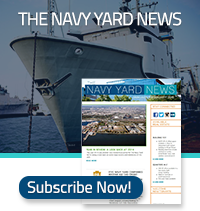 Interested in hosting an event at The Navy Yard? Meet the woman who made Philadelphia the City of Murals! Jane Golden, Executive Director of Mural Arts Philadelphia, has been the driving force that grew a small city agency into the nation’s largest public art program and global model for transforming public spaces and individual lives through art. Join us for a morning lecture at FS Investments. Mark your calendars, Philly's favorite food trucks are coming back! Keep an eye out every week as we announce the schedule on the Navy Yard's social media channels. Join your fellow Navy Yard employees for a free, weekly all levels group run at the Navy Yard! The Navy Yard Running Club will meet for a 2-5 mile run or interval run, ending with runners' specials at Bar Amis. Each month, Building 543 hosts an ever-changing roster of local entrepreneurs, gardeners, artists, shops and designers who bring items like handmade jewelry, homemade chocolates, vintage clothing, home goods and much more – to give employees and local residents a chance to browse and shop unique items. Celebrate National Bring Your Child to Work Day for another jam-packed day of work and fun! Enjoy pay-as-you-go food trucks, a variety of educational and interactive activities, and more at the Marine Parade Grounds. Stay tuned for details. Philly Foodworks is a local online Farmers Market like no other. Choose from flexible options that includes fresh, local vegetables, fruits, pantry items, eggs, bread, meat, yogurt, and cheese! Pick up will be in conjunction with Thursday's Lunch Truck Lineup program. The pick up will be held at Building 101, adjacent to the Marine Parade Grounds. The 2019 CHOP Walk for Hope is a fundraising and awareness event held in Crescent Park for pediatric inflammatory bowel disease research at Children’s Hospital of Philadelphia (CHOP). Today, IBD is the fastest-growing pediatric autoimmune disorder. The Pediatric IBD Center at CHOP is the largest and most advanced program in the world dedicated to the treatment and study of IBD in children. The March of Dimes brings its March for Babies event to the Navy Yard. This event is a 5k/10k run and 5k walk to support programs that help moms have healthy, full-term pregnancies, and funding research to find causes and preventions. Dive in and learn the basics or refine your practice! $108 for the series; drop ins welcome! Need a place to recycle confidential documents, old electronics, dead batteries, and gently used shoes? Then it’s time for a spring cleaning! During Lunch Truck Lineup on the Marine Parade Grounds, we'll collect these items for FREE paper shredding, FREE electronics recycling, and FREE battery disposle. This will also be the last day to drop-off gently used shoes for the Back On My Feet Shoe Drive. The annual Blue Cross Broad Street Run's starting line is at Broad Street and W. Fisher Avenue and ends 1/4 mile past the Broad Street Gate. Cheer on the runners and celebrate the completion of the nation's largest 10-mile race at the Navy Yard's Last Quarter Mile of Fun -- with music by Jayson Ducketts, and of course, more cowbells! ​In honor of the law enforcement officers that gave the ultimate sacrifice, the Law Enforcement Memorial Run is a 3-day, 150-mile, relay-style race starting in Central Green at the Navy Yard and ending at the Washington D.C. National Police Memorial. The Navy Yard is hosting another American Red Cross Blood Drive at FS Investments from 9:00 AM to 2:00 PM. Join the Chapel for the 3rd Annual Four Chaplains Mental Health Symposium with keynote speaker, Lisa Thomas Laury. The Eagles Autism Challenge is dedicated to raising funds for innovative research and programs to help unlock the mystery of autism. The 5k starts and ends at Lincoln Financial Field with a course looping around the Navy Yard. Join the Anti-Defamation League at the Navy Yard as they bring awareness to people around the world suffering from the injustices of prejudice. The Walk Against Hate supports the work towards the protection of civil rights in our community! CreativeMornings is a monthly breakfast lecture series for the creative community in the City of Brotherly Love. Join CreativeMornings at the Navy Yard for a FREE 20-minute talk, plus coffee! Volunteer with RevZilla, PIDC, and other Navy Yard employees, as we welcome Bregy Elementary School and Taggart Elementary School to the Marine Parade Grounds, for the first Navy Yard Field Day, filled with relay games, tug-o-war, seeding planting, and more! Join us for the exclusive Navy Yard employee-only, Craft Beer Summer Sampling event. The Navy Yard and Starfish Junction are offering tickets to the first 500 registered Navy Yard employees for this exclusive beer tasting! Premiere big band concert at the Chapel of Four Chaplains! The Navy Yard is hosting another American Red Cross Blood Drive at Penn State at the Navy Yard from 9:00 AM to 2:00 PM. The Navy Yard is hosting another American Red Cross Blood Drive at the Courtyard Marriott Philadelphia South from 9:00 AM to 2:00 PM.